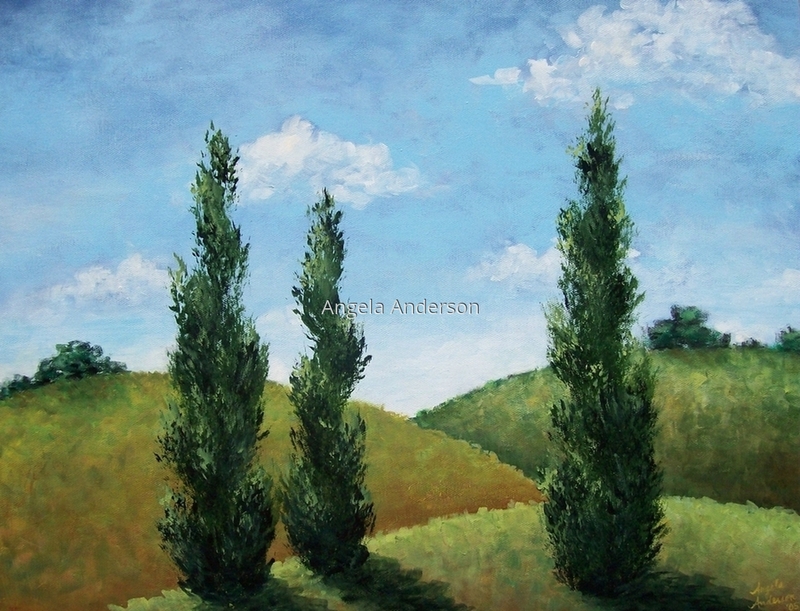 Three cypress trees stand alone in a Tuscan field. This painting is currently framed with a black wood frame. Will send photos to interested buyer. 5" x 6.5"7" x 9.125"9" x 11.75"11" x 14.375"13.375" x 17.625"